I’m sorry about your carpet, that poor carpet. Everything will be ok, you’ve come to the right place. We’re going to show you the best way to quickly potty train your chihuahua. The process will work for puppies and full grown chihuahuas. 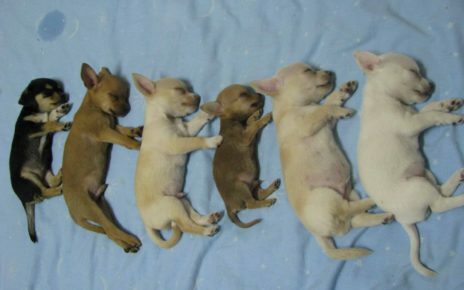 Although it’s important to note that chihuahua puppies may take a lot more time and effort to successfully potty train, but don’t give up. A leash and collar, or harness. A chihuahua to put them on. A small crate that is a good fit for your chi. 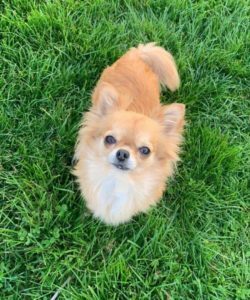 Even though you may have an enclosed yard your chihuahua can run freely in, you want to keep him or her close to you during the process. Be prepared to spend majority of your days focusing on potty training your chihuahua. Chihuahuas are known for being very difficult to train in any aspect of obedience. Being calm and never yelling at your chihuahua is very important. A nice strong voice is needed and constant monitoring during this process. If any sitter is going to be used, make sure that they know what to do and what not to do as well. Walking into a room and seeing an accident on the floor is never fun, but it’s important to keep your cool and don’t yell at your chihuahua. This also means that you should not bring your chihuahua over to it and tell it “no” as it’s likely already forgotten or won’t correlate the two correctly and misunderstand you. Don’t ever physically punish your chiwawa, these are very loyal dogs that only want to please their owner. Any kind of physical punishment can confuse, scare, cause resentment, and many other issues that can just bring many more problems. A strong “no” is the best thing to say and also picking your chihuahua up to stop whatever bad thing they may be doing. A pee or poo pad may work for some, but if you only want your chihuahua to do it’s business outside, it’s best not to use one. If you do plan to strictly use a pad, you may still use this guide, but just implement it being on the pad in place of when it would be outside while reading this guide. Don’t be lazy or unattentive, you will never accomplish anything. You need to stay vigilant or else your chihuahua may never be potty trained. As I said, this is going to require a majority of your focus. Of course the way to start is by giving your chihuahua food and water. 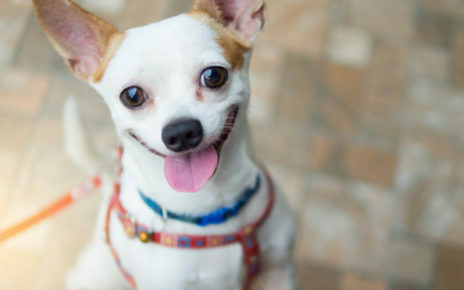 If you don’t have a leash and collar or harness on it, you may put them on once your chihuahua is done eating and you may bring him or her outside. Make sure to bring your dog treats with you as you’re going to want to reward your chihuahua positively after it does it’s business. Keep your chihuahua close and let it roam and smell around which is a good sign it may be getting ready to go. If at any time it does it’s business, wait until it’s finished and then immediately praise it with positive words in a positive happy tone and give it a treat. I don’t recommend bringing your chihuahua inside until it’s finished going potty as it may just go as soon as it returns inside and no progress will be made. This may be a long boring process but it’s crucial if you want to quickly potty train your chihuahua. The positive reinforcement and handing it treats is the main focus after your chihuahua has done something it’s supposed to do. Remember that if you have a young puppy, this process may take a significant amount longer than if you have a grown one. Accidents happen, especially when you have a chihuahua puppy. Sometimes you have an already potty trained chihuahua that is having accidents again. There are many factors that can contribute to the accidents, such as bringing somebody new to the household or bringing a new pet. Chihuahuas can be very loyal but also pack a enormous amount of jealousy and resentment. 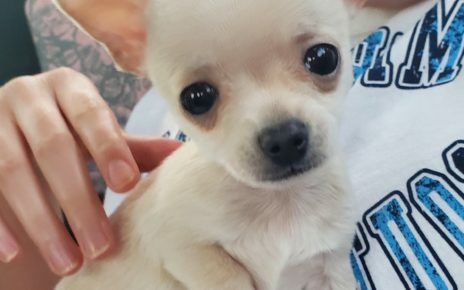 Some other factors may be that your chihuahua is being neglected in some way and should be looked into if you aren’t letting it out often enough or maybe it has a medical condition. One other thing may be a confusion about whom the alpha is in the household. Chihuahuas, being pack animals are always looking for the alpha in the group, and if it doesn’t see a fit alpha, it may do some odd things to assert dominance. The most important thing to remember is to stay aware of what your chi is doing at all times, and if it begins to go potty in the house, quickly tell it “no” and try to pick it up to stop what it’s doing. Bring your chihuahua outside and wait with it until it’s finished going potty. The use of a dog crate is an important tool when you want to quickly potty train your chihuahua. 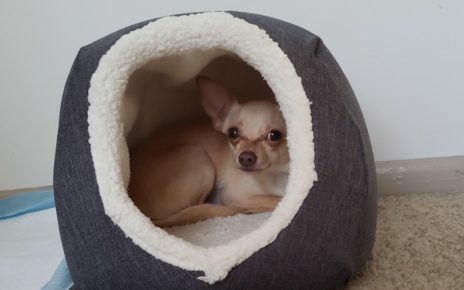 Make sure there is a comfortable bedding and maybe a dog toy or whatever other items your chihuahua enjoys. This place is what your chihuahua will consider it’s bedding area for the time being, and it will hold its bladder for as long as it can while in it. 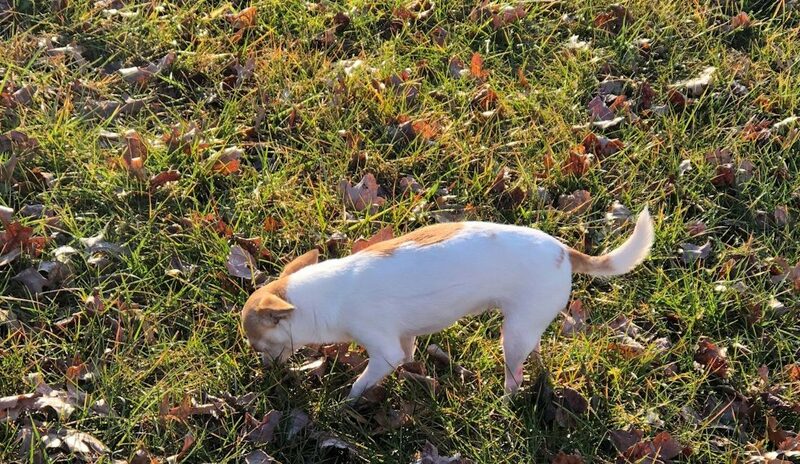 Remember not to keep it in there too long, consider the size of your chihuahuas little bladder and take it out and bring it outside once about every 30 minutes to an hour. If your chihuahua isn’t using the bathroom, you may bring it inside and back into the crate for another 30 minutes and try again. Treats and praise after using the potty outside. If an accident isn’t caught in the act, don’t bring your chihuahua to it and tell it “no”. Keep a watchful eye on your chihuahua at all times during the potty training process. Be stern but don’t scare your chihuahua. If you want to quickly potty train your chihuahua in the most effective way possible, it is going to take most of your effort in your day for quite a few weeks. Don’t give up and don’t be lazy, this takes a bit of time but it will come if you stay vigilant.